THEME: We LOVE themes!!! You can really "wow them" by sticking with a color them or if the bachelor party includes an activity (golf, camping weekend, poker night etc..) you can incorporate that activity into your theme. One of the funny themes we found was a" Hangover" movie them. THE GOODS: Here comes the fun part...shopping for the "survival tools!" 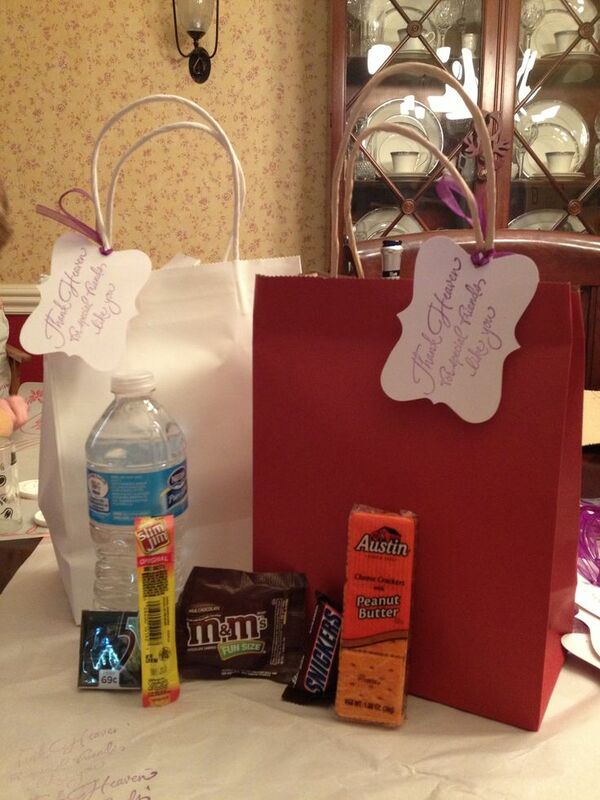 Some of the basics to include are gum/mints, water bottle (try adding your own personalized label to the bottle! ), chewable Pepto-Bismol, Chapstick, Advil and a small bag of pretzels or "snack pack "of crackers. You can really make the kits as simple or extravagant as you want. Some other suggestions of items to add include, small nip sized bottle of your grooms favorite Spirit, playing cards, wet wipes, Band-Aids, mouthwash, Red bull, personalized glassware or mug and maybe (MAYBE) add a few one dollar bills! THE PACKAGING: A simple brown paper lunch bag or gift bag can be an inexpensive way to present your survival kit. If you want something a bit more sturdy opt for a plastic shoe-box sized bin. If you are feeling crafty, permanent markers or craft paints work well to personalize and /or decorate the bin! A mason jar with cover is also a great container. It can also double as glassware if you include the ingredient's for a cocktail! 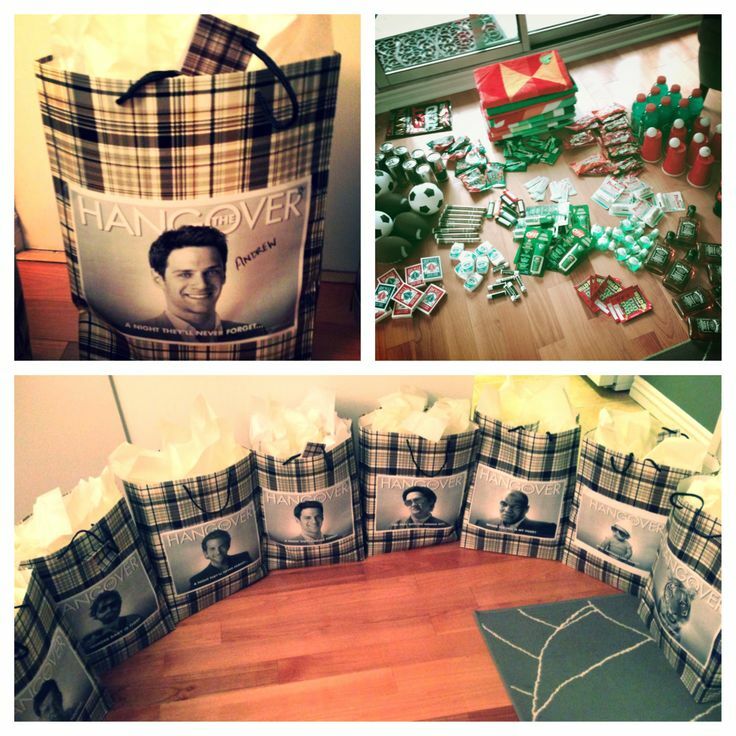 Another option is to make a basket and fill with the items to leave out for the guests to access through the night. This is something you can have lots of fun with! Don't forget to give your Love a framed photo of the two of you to look at while he is away with the guys! Replacing his old key ring with a newly engraved personalized one can also serve as a reminder to designate a driver for the party. 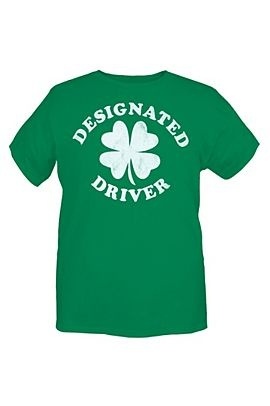 We also found a great t-shirt for you to add to the designated drivers survival kit! ﻿﻿ Most importantly DME encourages everyone to be safe, responsible and by all means have FUN!! Nice post and a cool idea indeed! Thank you for sharing. I like your idea. I would also like to advise you to the place where you can order a stag party and you do it all yourself. Here the club http://wellcum.at/en/your-custom-party/ . I have a friend here celebrating a bachelor party. We all really enjoyed this place. I like your idea. I would also like to advise you to the place.